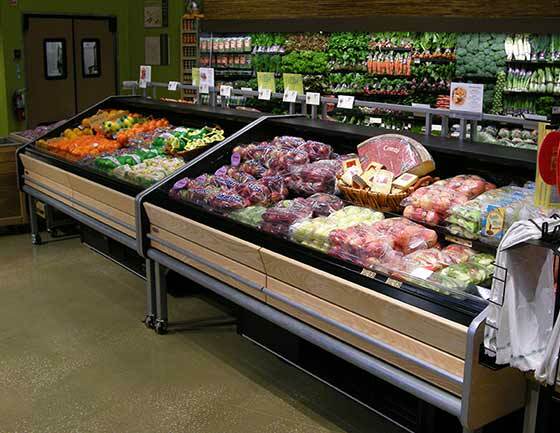 Mobile produce cases that are quiet & energy efficient for a farmstand display. 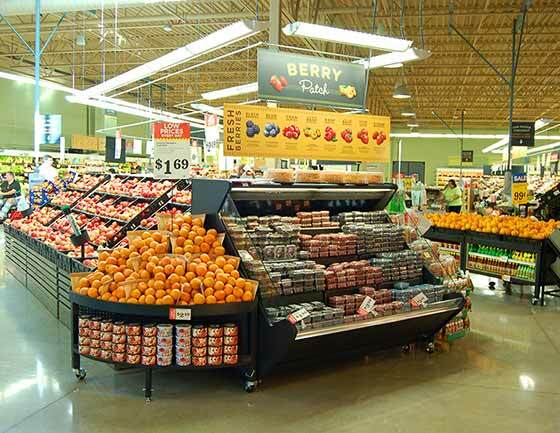 Southern’s design places specialty or organic produce for maximum focus and sales. 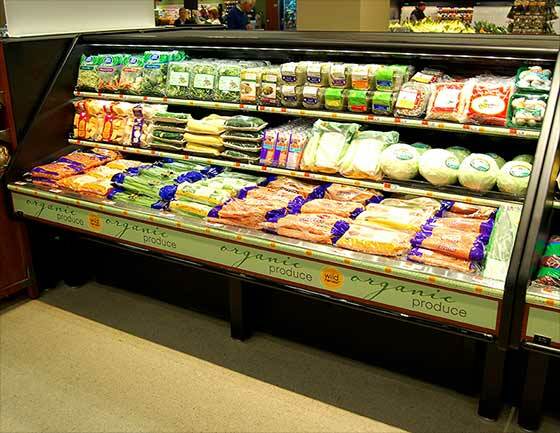 Matching refrigerated end cap to complete the farmstand island. Quietest operation in the industry. 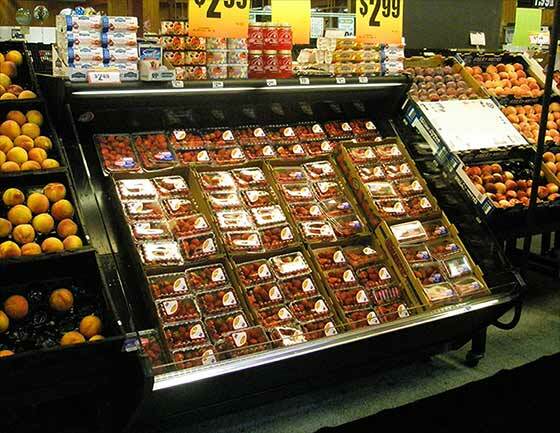 Ultra- energy efficient refrigeration system. 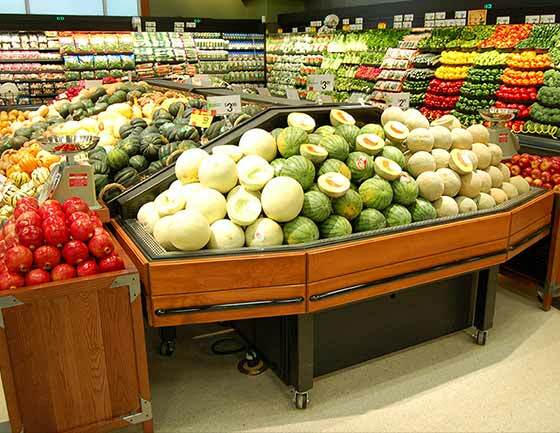 One case adjusts to handle the temperature requirements for both cut-fruit and produce. 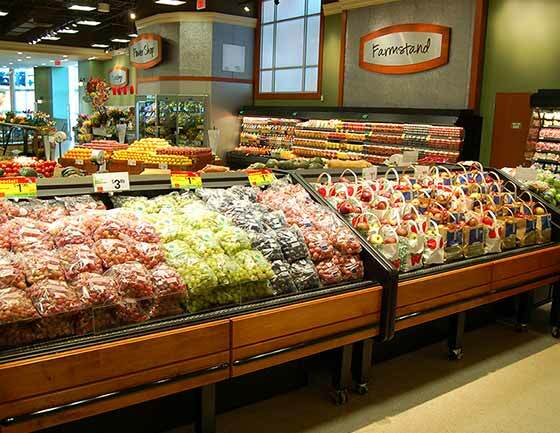 High profile self-contained mobile produce cases for packaged produce or returnable plastic crates.